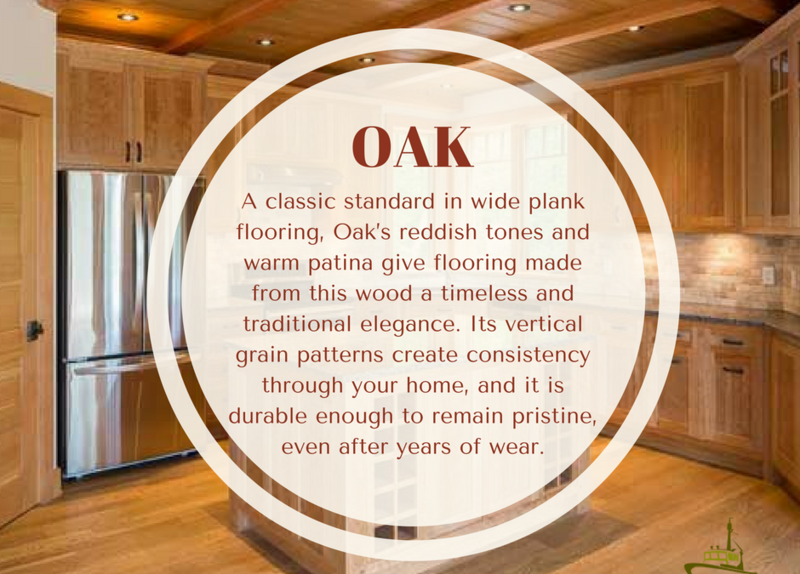 Oak – a true classic in the world of wide plank hardwood flooring. Yet gone are the days of homeowners “just” installing oak on the floors. Instead, the movement towards using more reclaimed materials in a home is proving once again that wood brings warmth and character. From floors to walls, ceilings, vanities and surrounds – there is no limit to the creative ways and places you can showcase wood (and nature) inside your home!